The results can be sorted by title, creator (composer), or date added. 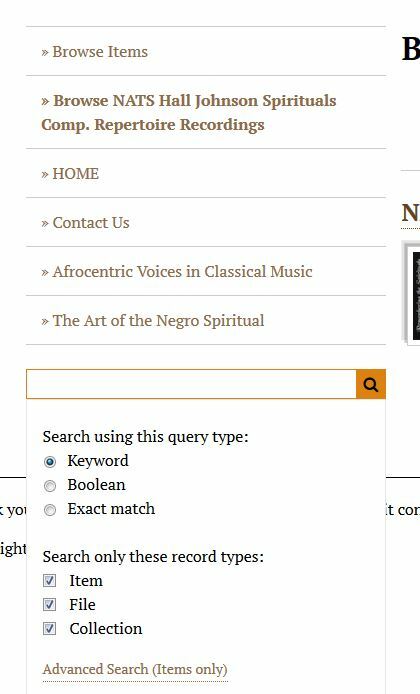 Another advanced search option is available from this screen by clicking the “Search Items” tab. 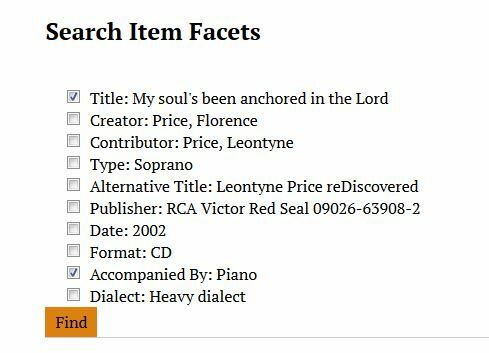 The keyword search can be narrowed to specific fields and further qualified by selecting options “contains,” “does not contain,” “is exactly,” “empty” or “is not empty,” as well as several other conditions. 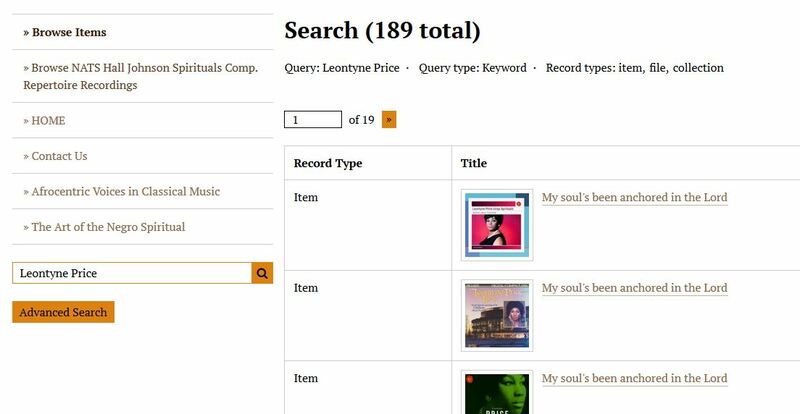 Begin the search by clicking the “Search for items” button at the bottom of the screen. 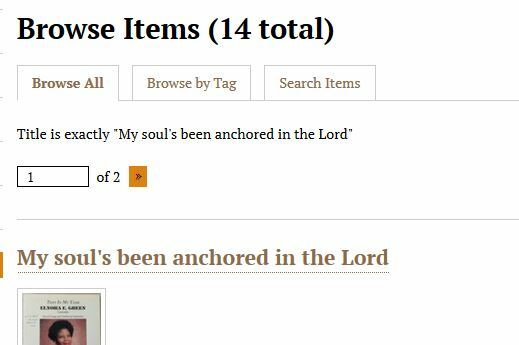 There are also tabs at the top of the form to “Browse All” items in the database and to “Search Item.” The “Browse by Tag” tab leads to a display of links for all tags currently in use. This is a new feature, so the number of tags and their results, while dramatically increased recently, are very incomplete at present. Lastly, to the left of this and the other advanced search screens is a search box that allows keyword, Boolean, and exact match searches. 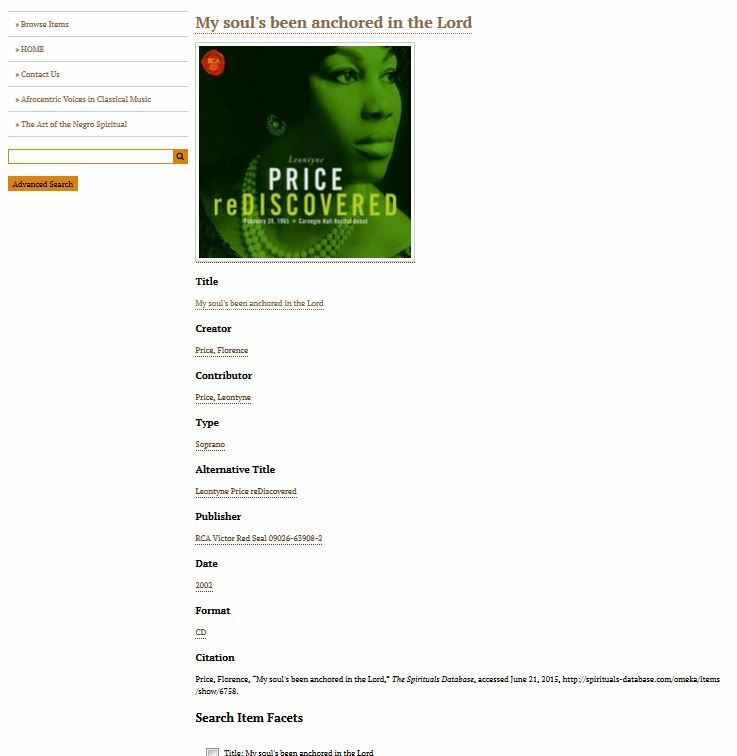 Above that box is a link to browse all of the items in the database, the NATS Hall Johnson Spirituals Competition Repertoire collection, and the “Home” link to return to The Spiritual Database‘s opening page.